Imagine you are a scuba diver inside the devastated wreck of a WWII German U-Boat. You are 65 nautical miles off the east coast of America, in the Atlantic Ocean, at a depth of 230 feet and breathing compressed air. (This is a time before rebreathers and trimix!) It’s cold, dark and you are alone. The slightest movement, and your own bubbles, stir up sediment that has taken decades to accumulate – and will take hours to settle. In the gloom there are dangling wires and cables waiting to ensnare you, delicately balanced debris to trap you and jagged edges everywhere. Outside the hull there is a current eager to wash you into the void. The above scenario is not fiction but fact. 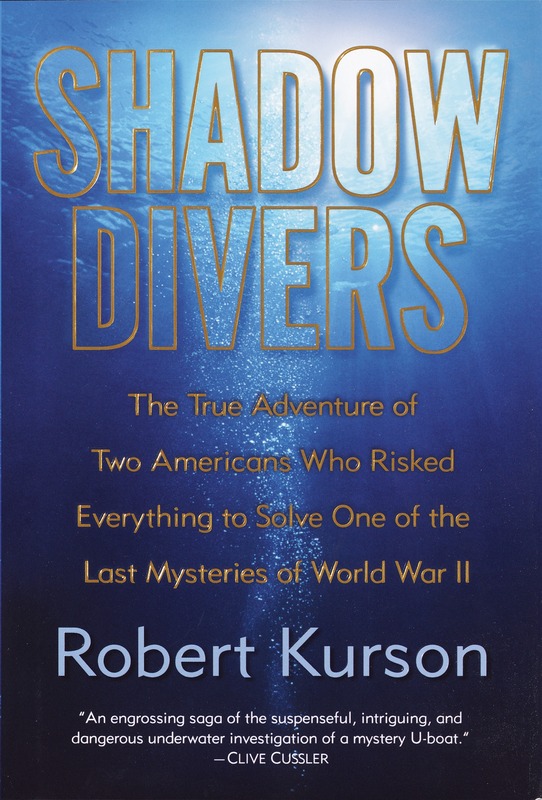 In Shadow Divers Robert Kurson narrates the true story of how two deep wreck divers, John Chatterton and Richie Kohler, commit and risk everything to identify the mystery wreck and explain its demise. However, Shadow Divers is more than just a diving yarn. It raises issues about the ethics of diving on war graves, how personal perspectives influence our lives and the fallibility of official historical records. Kurson documents the strong desire amongst divers, like Chatterton and Kohler, to claim artefacts from wrecks – even putting their lives at risk in doing so. Indeed, several of the photographs in the book show divers displaying items recovered. However, despite being informed that the German government regard any U-Boat wreck to be “tombs of a seaman’s grave” (p.148), they continued searching for artefacts to identify it; the search becomes an obsession and one they seek to justify. 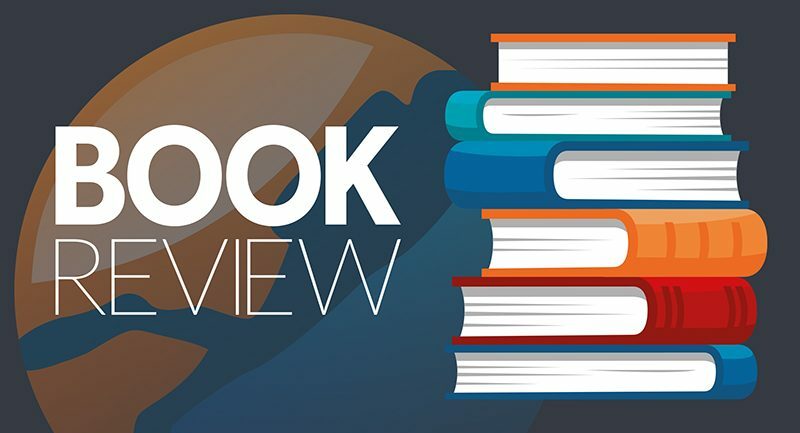 The chapters devoted to the main players in the story provide insights into their character, the principles by which they live their lives and how they changed over the years of exploration. For some the path leads to self-destruction, to others greater self-awareness and being able to live with their actions. These men become unofficial guardians of the wreck as they deliberately avoid searches that could disturb the remains of long dead sailors whilst at the same time trying to identify them. It is difficult to disagree with Kurson when he says exploration of the wreck evolved from “an artefact site into a moral obligation” (p. 287). The task of identifying a wreck is typically guided by official records, testimony and the word of experts. But what if these are wrong? What if these accounts are based on sloppy and erroneous assessment? German and Allied records indicated that no submarine could be where it was discovered! Kohler’s conclusion, that “- no government or navy or professor or historian has a clue – that it’s even here” (p.185) challenged historical record. In narrating the search Kurson shares the highs and lows of their painstaking investigation and personal challenges as the project impacted their lives. It is a testimony to their tenacity that they didn’t merely accept the official government records and the views of experts. If I have any criticism it would be a small one. It would be the space devoted to accounts of diving on the Andrea Doria – the Italian cruise liner that collided with the Stockholm and which sank with the loss of fifty-one lives. Whilst it served to reinforce the danger of deep wreck diving, and exemplified the exploration techniques used later, it detracted from the main story. As a recreational diver I found the accounts of diving inside the submarine compelling. Kurson takes you down to the wreck and inside it. His description of the anaesthetic effect of nitrogen narcosis, running out of air, panic attacks and sheer bad luck that claimed the lives of other divers are, fortunately, outside my experience. However, the thoroughness of the research they conducted would impress any PhD examiner. Shadow Divers is an incredible story. Robert Kurson obtained his bachelor’s degree in philosophy from the University of Wisconsin and his law degree from Harvard Law School. He has worked as a journalist and writer in the USA. Find out more about Professor Fred Lockwood, who is also a published author, at www.fredlockwood.co.uk. Previous Previous post: Pre-book your GO Diving tickets and be first in on the action at the show! Dr Fred Lockwood is Emeritus Professor of Learning and Teaching, Manchester Metropolitan University, UK. 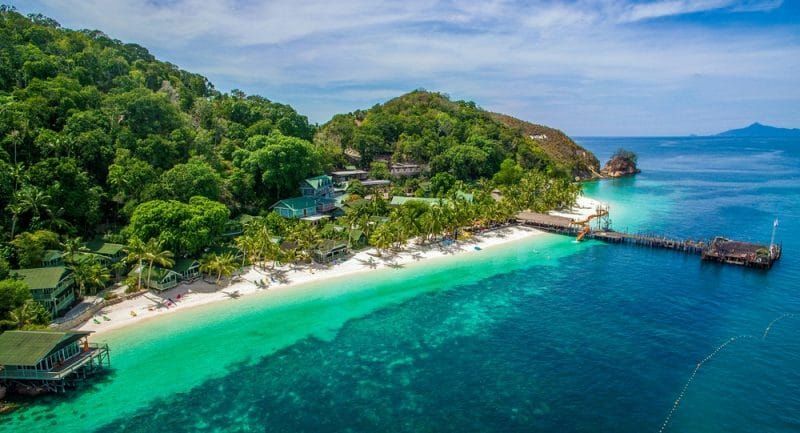 He is also a PADI Master Scuba Diver and dived in the waters of Central America and Africa, the Middle East and South East Asia, Australasia and the Pacific Islands. Follow Fred at www.fredlockwood.co.uk.